Welcome to my Shaklee review, a health and wellness MLM company that has been around for what seems to be forever. Many people are also wondering if Shaklee is a pyramid scheme. I am going to answer this question but give you also an insight into the compensation plan and joining process. Getting involved in network marketing seems all the rage nowadays. Around 200 companies are members with the Direct Selling Association but its estimated that around 1000 companies in the US alone are using multi-level marketing. But can the Shaklee opportunity live up to these hopes and dreams? My Shaklee review will show in detail what it takes to get involved with this company and if it is the right opportunity for you. Shaklee was probably the first MLM company that offered nutritional and dietary supplements way before everyone else. Now, the health and weight loss niche have become saturated and highly competitive. After all, who doesn’t want to stay healthy and let’s be honest, nearly everyone tries to lose a few pounds now and again. So, what makes Shaklee different from any other MLM company in this market place? Shaklee was founded in 1956 by chiropractor and nutritionist Dr. Forrest C Shaklee who was a truly remarkable man. Back in 1915 at the young age of 21, he created ‘Shaklee’s Vitalized Minerals’ in a time where research just started to find about the importance of vitamins in our diet. It took another 41 years when Shaklee founded his company together with his two sons. The first product they sold was called ‘Pro-Lecin’, a combination of Protein and Lecithin. Click here for more information. What resonates with me is the fact that F Shaklee was a huge believer and advocate in living in harmony with nature long before the ‘green’ movement started. As a result, Shaklee started manufacturing and marketing biodegradable cleaning products back in 1960. Shaklee has had quite a few changes with its ownership. Eventually, in 2004 the Shaklee Cooperation was bought by multi-millionaire Roger Barnett who is also the CEO. Shaklee is a privately owned company and is currently operating in Canada, the USA, China, Indonesia, Japan, Taiwan, and Malaysia. 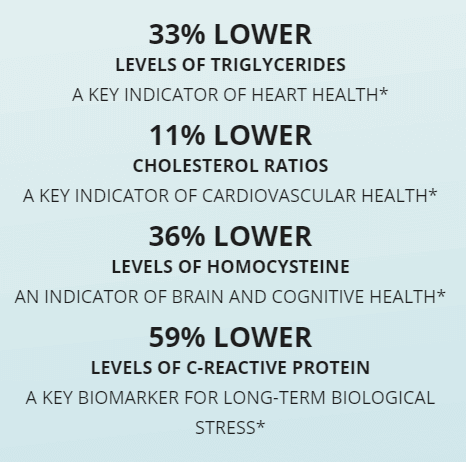 Scientific studies are essential for Shaklee’s credibility and is a sign for their quality products. On the website, Shaklee refers to the ‘Landmark Study’ the first long term study on the use of Shaklee supplements. It provided scientific proof that Shaklee’s products work. It speaks for Shaklee that NASA has been using a customized version of the rehydration beverage ‘Performance’ for their astronauts. Starting off with only one product back in 1956, Shaklee has over 200 products in the catalog now ranging from Nutrition, Healthy Weight, Beauty, Green Home, and Sports. Shaklee states: “Our products are backed by 71 patents and patents-pending and over 120 published scientific papers and presentations that show our products make a difference in your health.” Pretty impressive! I do like that they don’t do animal testing at all which ties in with their mission to live in harmony with nature. Similar to IDLife you can take a questionnaire about your health goals, eating habits, sleep patterns, and type of exercise and get a recommendation of suitable products. One of the flagship products is probably the Vitalizer that provides essential nutrients in one convenient Vita-strip, backed-up by a 30-day money-back guarantee. By the way, the 30-day no questions asked refund policy applies to all Shaklee products. There are many positive product reviews online. Most of the reviewers had been taking Shaklee products for years with good results. Read them here. Read How I Earn Four Digits A Month And How You Can Too. Can You Save Money On The Products? Of course, you can. Most MLM companies offer some sort of membership and Shaklee is no exception. For a sign-up fee of $19.95, you can get a 15% discount on all products. A sweet deal! You could also sign-up for an auto-ship order to unlock more benefits but the order has to be at least $150 each month. It also means you don’t have to pay a joining fee as a member and you would get free shipping, only on orders over $150 though. The table shows at a glance the two different joining options, either you become a Distributor by paying $49.95 and receive a New Distributor Welcome Kit or become a Qualified Distributor by purchasing a Success Pack plus the Welcome Kit. You could also become a Qualified Distributor by purchasing the Welcome Kit plus paying a fee of $150. What’s in the Welcome Kit? Besides a replicated website for three months, you get product catalogs, business-building brochures, and access to digital tools to promote your business online. The question is: how much does a website cost after the three months are over? Success packs start from $299 for the Core Nutrition Success Pack. The most expensive one is the I Want It All Success Pack for $1000. There is one important thing you should know: To qualify for commission payments, you have to have 100 points in a personal purchase. 100 Points equals around $150 worth in products. So it basically means, a distributor is forced to order each month product of around $150 in value. I use the word ‘force’ on purpose here because, in my opinion, it should be optional if a distributor wants to order something or not. $150 is a lot of money and a lot of sales are needed to get a commission to outweigh the expenses on the product purchases. There should be other requirements for distributors to be eligible for commission payments like sales to customers etc. Yes, we are not just talking about the compensation plan, no Shaklee calls it ‘the Dream Plan’. It took a bit of digging to find the most recent dream plan. What I have found is the reward chart for 2019/2020 which includes also the incentive trips. You can check it out here. The dream plan rewards chart doesn’t include any bonuses for sponsoring new qualified distributors or for recruiting new preferred customers who sign up for an auto-ship order. These bonuses are as follows: a $25 bonus for customers who sign up for a monthly $150 auto-ship; a $50 bonus for sponsoring qualified distributors who order a success pack. Starting with being a qualified distributor, the next ranks are Director, Senior Director, Coordinator, Senior Coordinator, Executive Coordinator, Senior Executive Coordinator, Key Coordinator, Senior Key Coordinator, Master Coordinator, Senior Master Coordinator, Presidential Master Coordinator. To advance to a director, you need to have at least 2000 Points in group volume plus 100 Points in personal purchases. Overall, the compensation plan is very similar to other MLM companies, like Advocare for instance. There is nothing new and exciting here. To answer this question, we need to have a look at the income disclosure statement first. Here is a graphic from 2015. the income numbers are very similar to the ones you can see on the dream plan chart from 2019. Unfortunately, these numbers don’t mean much because it doesn’t show the numbers of total distributors throughout the year, the amount of personal purchases for each distributor a year, the percentage of distributors who didn’t earn anything, nor does it take any expenses into account e.g travel expenses, purchases for brochures, catalogs, the website and so on. Also, the income starts at the director rank. How much in average earned a qualified distributor? To be honest, I expect more from such a well-established company like Shaklee. Why not provide real numbers to people who are interested in the Shaklee opportunity? Well, I am guessing that only a very small percentage of distributors achieve a higher rank than Senior Director and even fewer people make it to the top. I read somewhere that you might be better of playing lotto than earning a million with an MLM company. 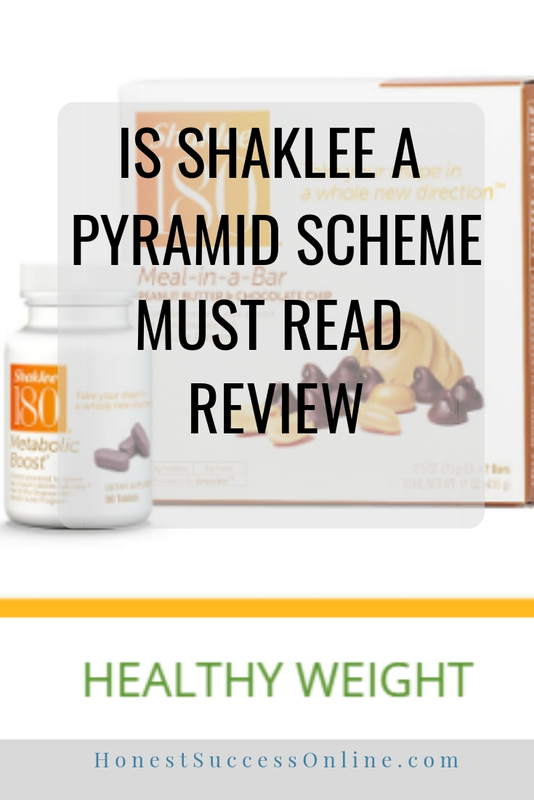 So, is Shaklee a pyramid scheme? It is probably borderline as with so many other MLM companies. The payment structure looks a lot like a pyramid. What speaks for Shaklee though is their good reputation of its products and the comprehensive scientific research. One red flag for me is the fact that distributors at any rank have to have a personal purchase of at least 100 points ($150) a month. No wonder, that Shaklee has got such great sales. It’s basically on autopilot. Clever, right? There are a few pros and cons regarding the Shaklee opportunity. I avoid the term ‘business’ with any MLM company because it is not your business. You are basically a salesperson who is trying to recruit other people to build a team to earn residual (passive) income. Overall, I would not recommend getting involved as a Shaklee distributor unless you have the finances to buy the products each month and have a large network of potential buyers. You may love the products but it doesn’t mean everyone around you will love them. Plus, can you afford to pay at least $150 each month for the products? It takes hard work to become successful in the MLM industry and Shaklee is no different. It is most likely that you spend more money than you will earn. Unfortunately, Shaklee’s income disclosure is not helpful at all since important information is missing. Are you looking for an alternative way to make money? Please read on because I am about to introduce you to a legit way of making money online that not many people know about. And who knows, it may change your life! 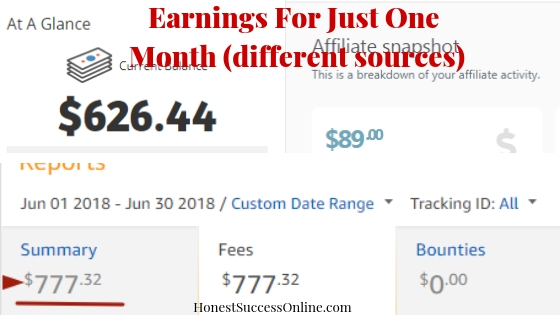 Read here how I earn now four digits a month. Affiliate Marketing is a legit way of making money online. 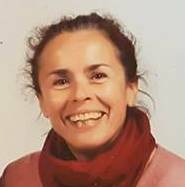 It helps people to gain the time and location freedom they are seeking plus unlimited income potential. Learn how to build an online business step-by-step with my #1 recommended training platform Wealthy Affiliate! Being part of this amazing training platform has transformed my life and will be changing yours for the better too. Ready to take the leap and start building a business that doesn’t involve recruiting or selling? If you have any questions or more information about the company, please leave them in the comment section below. This post may contain affiliate links. For more information read my affiliate disclaimer.